In today’s world, having a business-oriented approach won’t suffice unless you’re keeping close tabs on your customers. Knowing their choices and preferences is just as important as selling your products to them. The primary objective of product marketing is reaching your customers instead of them reaching you. So if you’re showing them something that they’re not interested in buying time and again, chances are they’re never going to visit your website, let alone buying something there. So now you see, it’s very crucial to know the consumer behavior to enhance your chances of conversion. And for that, we have the highly advanced recommendation engines that help predict the consumer behavior based on their historical data. And though these systems claim to have over 60% accuracy, we still can’t deny the remaining 40% inaccuracy which may cause your bid to be wasted for nothing. To overcome the glitches in the existing systems and to make them more advanced, the data scientists have come up with numerous solutions time and again. But there hasn’t been a major breakthrough in years. Lately, a Machine Learning startup company named, GNY claims to have found a rock-hard solution to enhance the accuracy and efficiency of the modern day prediction and recommendation systems using Machine Learning and Blockchain technology. The solution aims at providing the organizations of all sizes the ability to discover various patterns in their consumer data and predict when is the best time to boost sales to get more clicks and more conversions. You may also like Using Blockchain Can Do Wonders In Education Sector. GNY is a Jersey-based software company that offers a next generation predictive machine learning platform to the clients. The company identifies repeatable patterns that constantly adapt to the behavior of the consumers. GNY helps various companies to predict a user’s behavior to tell how likely a customer is to buy a particular product of that company. This further helps the company to target its potential customers based on the products they might be interested in to have a better conversion and click-through-rate. The company does so by responding to millions of independent variable features and implementing hundreds of Machine Learning algorithms simultaneously in order to predict the defined business values. Now the company has come up with an idea of using and implementing the Blockchain technology along with Machine Learning to take the process to a whole new level. Also read Can Machines Supersede Humans In Future Planning. 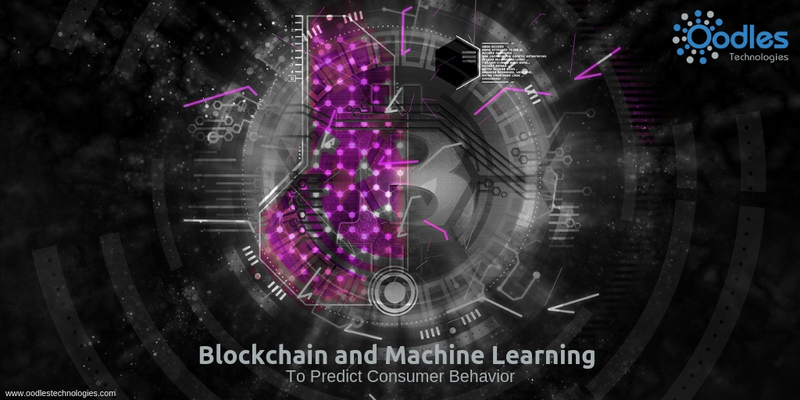 GNY believes that the convergence of Machine Learning and Blockchain technology could be a major leap in predicting the consumer behavior patterns. As a matter of fact, using Blockchain technology in business could be a major breakthrough for GNY as it can solve numerous business problems like frauds in insurance industry and boost viewership in publishing. As of today, the GNY systems are handling hundreds of Machine Learning algorithms and millions of independent variable features in parallel. In that case, using Blockchain can terminate some the major issues in analyzing consumer data once and for all.